So here's more pictures of me in the snow! 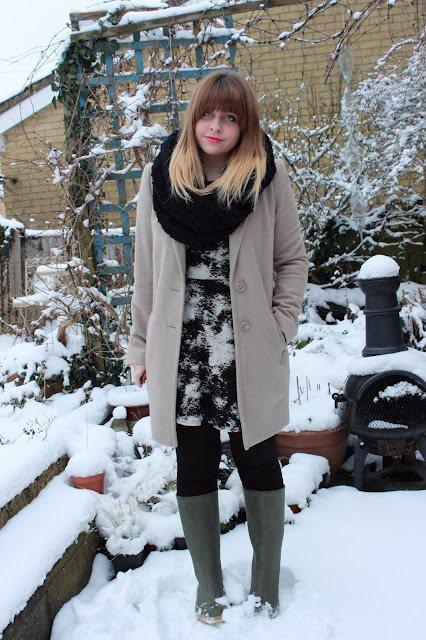 I was actually able to take some fairly decent outfit pictures this time round because it wasn't snowing at the time. I'm so glad the it hasn't stayed here for ages and disrupted my life too much. There is still snow everywhere but luckily not on the roads so I can escape! I really love this new dress from MissGuided which was SO cheap, I just had to snap it up. I love skater dresses because they are the best shape for me and I thought this pattern was a bit more unusual. I hope the unfashionable wellies don't ruin the outfit too much but the snow was pretty deep. I'm also wearing my new Revlon Just Bitten Kissable Lip Stain which is AMAZING and I'll be doing a review of this soon. If you want to see me talk about some of my recent purchases, including this snood and dress, then check out my latest haul video. 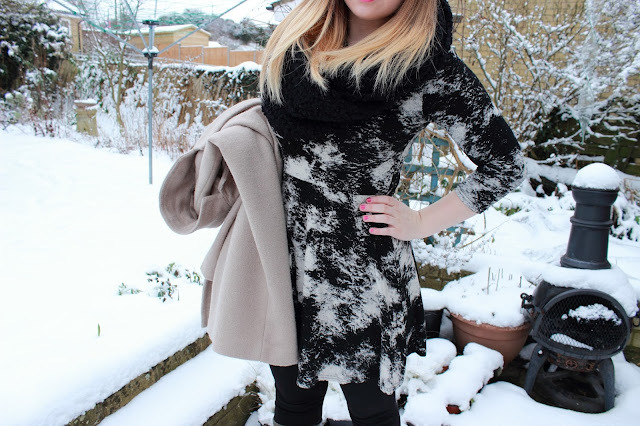 This is such a great snow outfit :) I love the dress-missguided is so goo at the moment!! 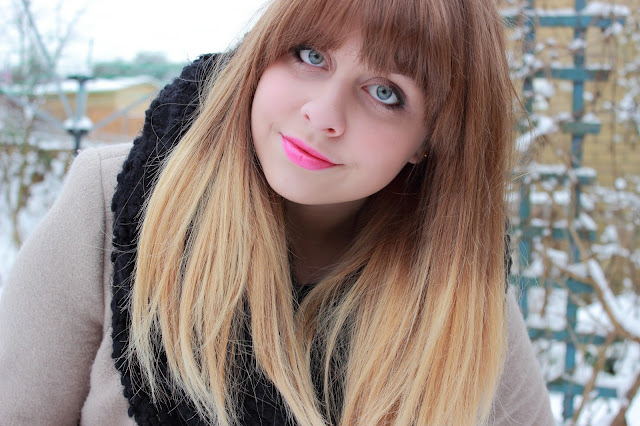 You have such cute photos from the snow! 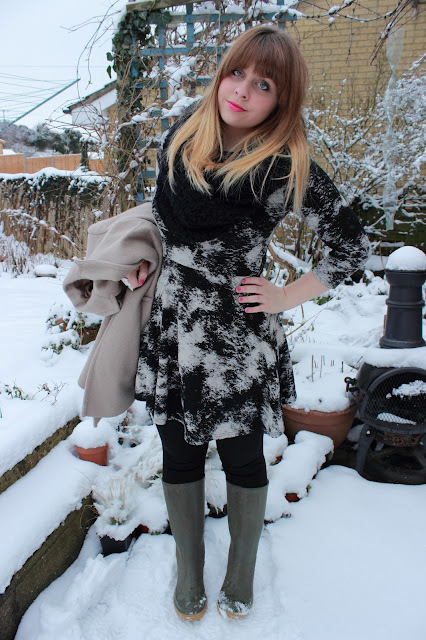 This outfit is really flattering, the pattern actually reminds me of the snow itself!